If you haven’t heard about virtual reality and augmented reality by now, your desert island must not have wi-fi. But there are millions of folks who know about VR/AR, but haven’t seen it yet. User trial is on the critical path for VR/AR to go mass market. So what are the lessons from previous digital platforms about moving mass consumers from awareness to trial? The New York Times has given away over a million Google Cardboards to its readers. McDonald’s “Happy Goggles” turn a Happy Meal box into a VR headset, and Coca-Cola has experimented with a similar approach using its multi-pack containers. Moving up in quality from Cardboard, Samsung has bundled its Gear VR headset for free with compatible phones, which together with sales has delivered “millions of people with a Gear VR, and over a million monthly active users,” according to a Samsung spokesperson. Samsung has also enabled a location-based trial with 15,000 retail locations in the U.S. Verizon gave away Google’s Daydream View VR headset with pre-orders of Pixel phones, and China’s OnePlus gave way 30,000 VR headsets with its phones. HTC isn’t just getting its own products in front of consumers, but is thinking more broadly. “To help the entire ecosystem, our $100 million Vive X program is committed to helping companies with the right vision to help everyone and everything in VR,” Chen said. AR/VR education player zSpace has a proactive approach to location-based trials, taking the location to its users rather than requiring them to go anywhere. They have multiple buses complete with full demo experiences touring U.S. schools around the country. The AR smartglasses that are already hitting the market (Microsoft HoloLens, ODG, Meta, etc.) are largely enterprise-focused so far, making it too early to assess their approach to consumer trial. But Pokémon Go has already achieved both mass awareness and trial of augmented reality — even if industry insiders don’t like to call it that. 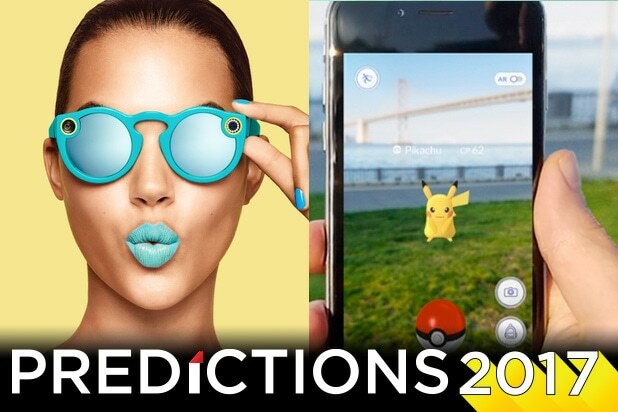 Apple CEO Tim Cook, Google CEO Sundar Pichai, Facebook CEO Mark Zuckerberg and Microsoft CEO Satya Nadella happily declared “Pokémon Go” as an early win for the AR market. So while the huge splash it made last summer peaked at over 50 million monthly active users, globally there are tens (if not hundreds) of millions of consumers who think they’ve tried AR and liked it. The big question is how will “true” AR smartglasses leverage that awareness when they go consumer in the next year or so? Hopefully the lessons learned from both Google Glass (boo!) and Snap Spectacles (yay!) will inform what comes next. Snap’s approach with Spectacles has been nothing short of marketing genius, almost single-handedly erasing the years of damage done to AR’s consumer profile by Google Glass (even if Spectacles aren’t really AR). Spectacles are a cool populist toy, not a vision of the dystopian future. They’re scarce but not elitist, with a limited rollout for anyone prepared to drive hours to get to a vending machine (rather than hand-picked Glassholes). Spectacles’ $130 price point is a lot less than some alternative ways to buy into the new hotness (regardless of functionality). The free marketing hype and virality surrounding Spectacles videos gives Snap’s 150 million-plus daily active users the chance to feel like they’re trying Spectacles (even if they can’t get hold of them yet). And all the data from early adopters — some might call them paying beta testers — enables Snap to tweak Spectacles’ hardware and software to perfection before a full launch. That Evan Spiegel is one smart cookie. Telco data revenues and cross-subsidization will be key, so how will the telcos help on consumer trials? When producing content and applications for mass consumers — ranging from high-end VR content like Baobab Studios’ “Invasion” and “Asteroids,” to next-generation visual messaging for VR/AR like Eyetouch Reality — how do you get in front of lots of people, and how do you leverage that trial more broadly? Mass markets cover everyone from your nephew to your grandma. But recent tech success from Facebook to Snapchat skewed younger at launch, before migrating upwards to take over the world. 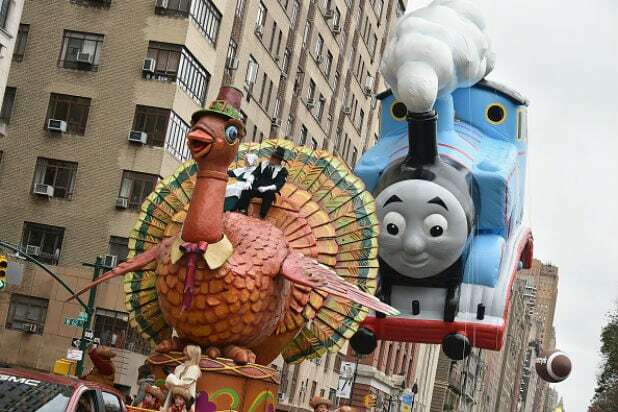 Here at TheWrap, we hope everyone has a wonderful Thanksgiving. After the pumpkin pie, be sure to rest right up, because Black Friday officially begins immediately after your tryptophan nap. Click through to see 13 Hollywood-focused steals and deals. What? PlayStation 4 500gb Slim Console with "Uncharted 4"
What? Xbox One S bundle with "Battlefield 1" (pictured) or "Minecraft"
Now that you're armed with some initial info, go out there and shop 'til you drop. Or, until you ARE dropped by someone who wants that flat-screen just a liiittle more than you do.